Chaga (Inonotus obliquus) gets all the love, and for good reason: it’s got some fine medicine indeed. But what if we can’t find chaga, or what if we are interested in protecting its existence in the wild? Well then, we can look to the birch polypore as a useful alternative. You see, the birch polypore (Piptoporus betulinus) is a fairly common mushroom that generally grows on dead birch trees. I encounter it quite frequently in the forests of Pennsylvania, especially in the winter months. Interestingly, it contains many of the same medicinal compounds as chaga, notably the triterpenes. For example, the birch polypore possesses betulin, betulinic acid, and lupeol, and while its content of betulin is much lower than that found in chaga, it contains a significantly greater concentration of lupeol than chaga in certain extracts. Lupeol is a compound that may be useful in treating inflammation and cancer (Saleem 2009). 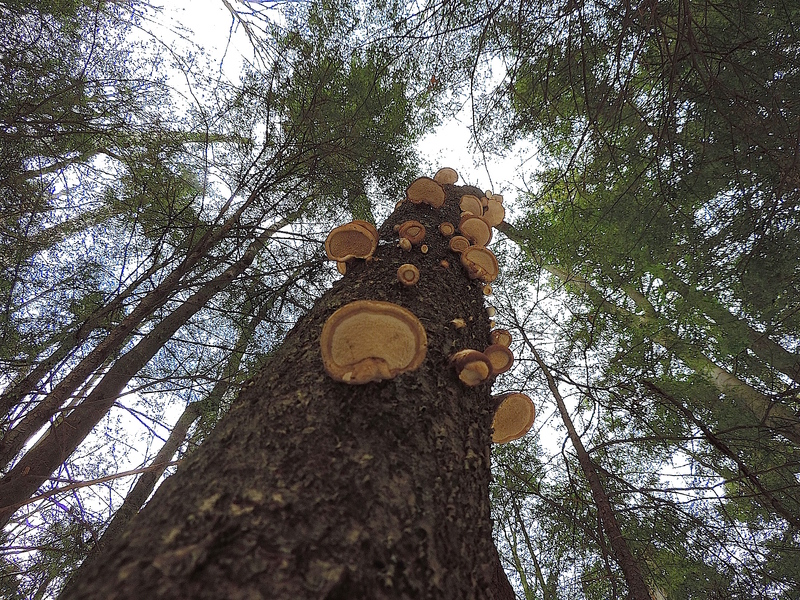 The birch polypore also contains an anti-inflammatory/anti-microbial compound not detected in chaga, known as taraxasterol (Jasicka-Misiak et al., 2010). It seems that medicinal diversity is essential for optimal health, and cycling between chaga and the birch polypore (instead of relying solely on chaga) can benefit not only the health of the forests, but our personal health as well.